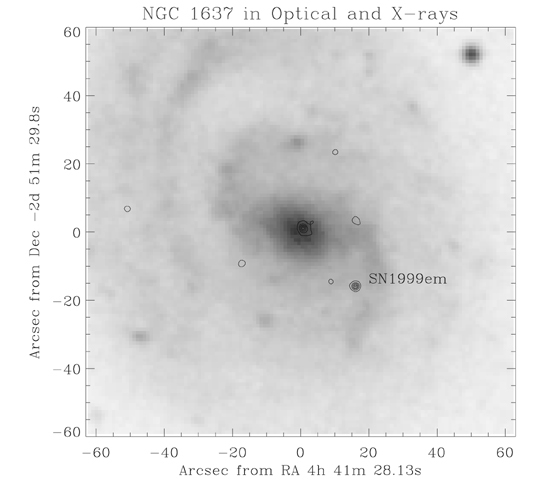 Chandra Observation of Supernova SN1999em. In late October of 1999, a supernova was detected in NGC 1637, a spiral galaxy that is 25 million light years from Earth. Chandra observed the supernova twice soon after the explosion. X rays, shown by contours overlaid on an optical mage, were detected from 3 million degree gas produced by the supernova. 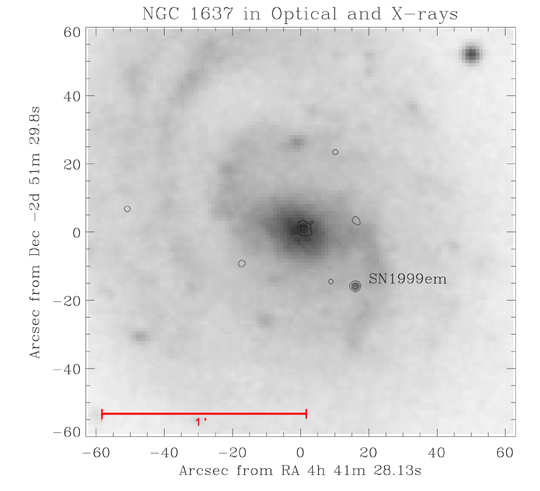 An X-ray source in the center of the galaxy was also detected. Coordinates (J2000) RA 04h 41s 28.08m | Dec -02° 51´ 33.49"